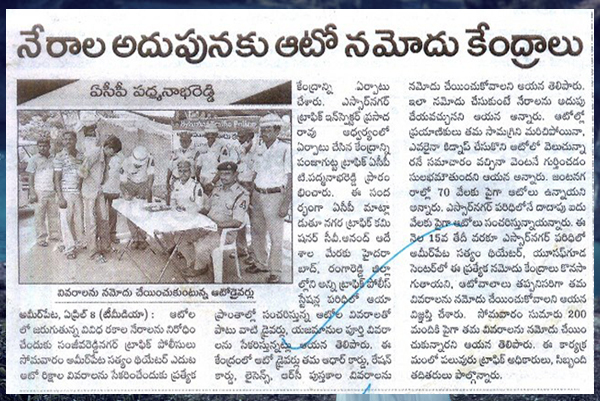 My Vehicle is Safe Program Initiation in Hyderabad. 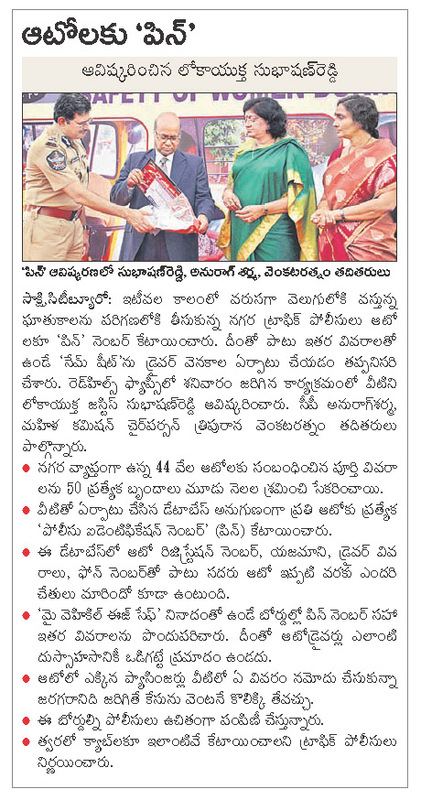 Police initiative for Public Safety in Hyderabad. 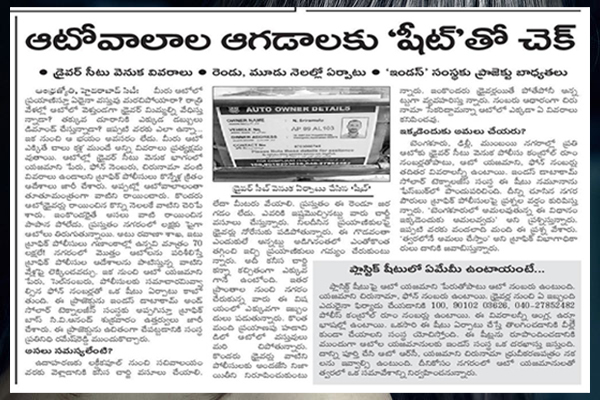 Public Transit becoming more safe & secure. Initiative, Informative, Implementation for Innovation. 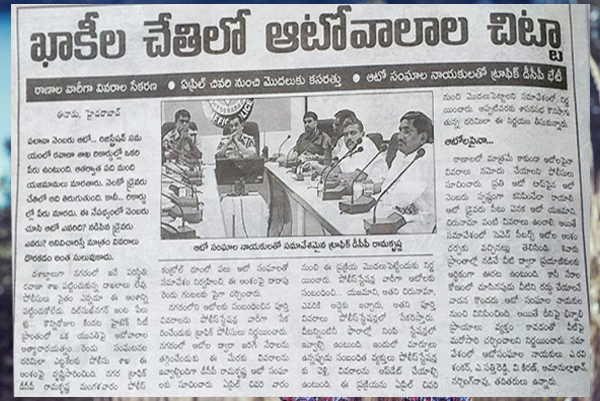 Field level implementation in Hyderabad. 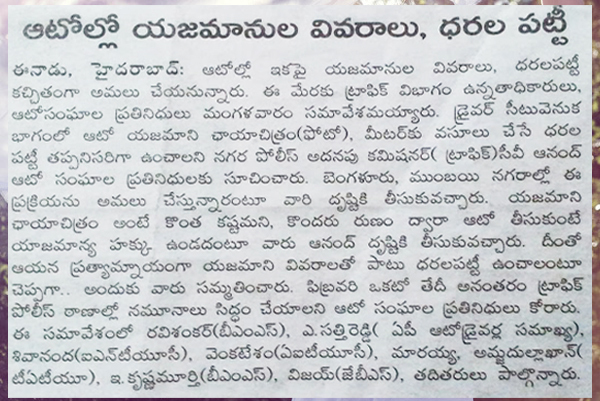 Public statement for People awareness. 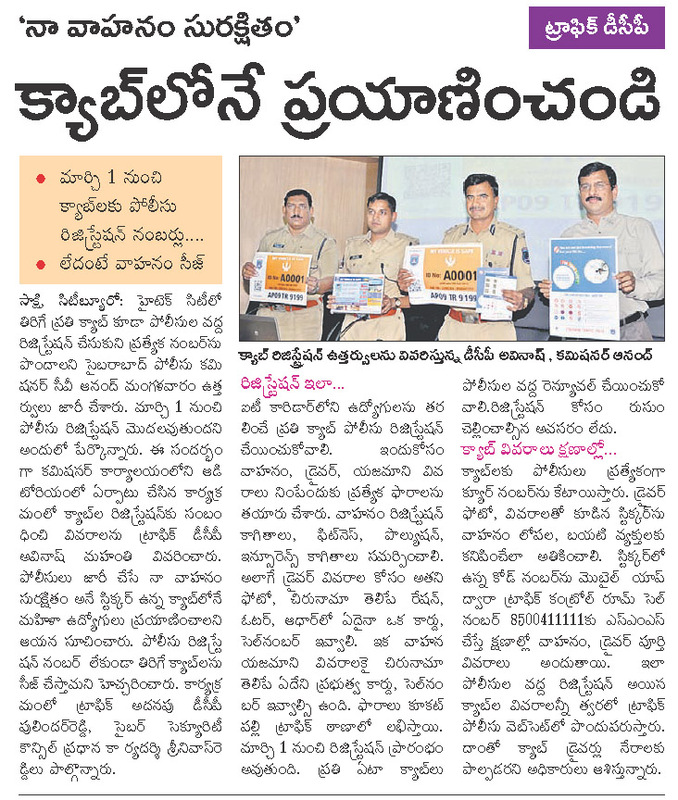 Police initiative for next generation Public Safety.